Chanakya was known by names like Kautilya and Vishnugupta and played multiple roles of being a teacher, philosopher, economist, jurist and royal advisor. Arthashastra and Chanakya Neeti were the two important books written by him. Chanakya Neeti is a collection of aphorisms, said to be selected by Chanakya from the various Shastras. The topics discussed are morality, ethics, governance and several others. Chanakya is regarded as a great thinker and diplomat in India. Many Indian nationalists regard him as one of the earliest thinkers who dreamt of a united India, spanning the entire subcontinent. 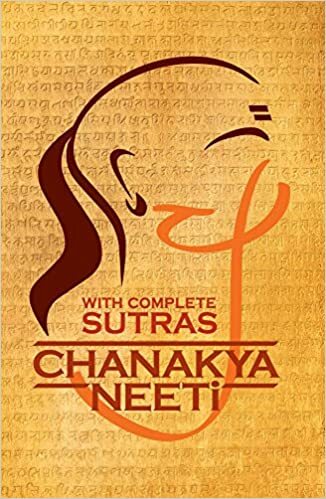 If you have not read chanakya’s work before and you are looking for an easy book to read this is one of them which will help you understand Chanakya’s neeti in short. The cover is of the famous look of Chanakyas tilak and hairdo. Sanskrit scriptures are also given in the cover itself. The book consists of aphorisms by chanakya on life,love,war and certain principles he used to follow. The sanskrit transcriptures are given and then it is explained in english which can be understood very easily. His sutras can be taken into daily life and working as well. Language is easy for anyone to understand. One page at a time will be good so as to apply those or understand the sutras well. You will learn alot about life and understand the way he used to tackle things through sutras. Why he was called as one of the most great thinker amongst his times and why these sutras are also famous now. You will find alot of relatable sutras, which will help you see the right/wrong doings of oneself and help you dive a little more life. How one can also improve their thought process. The book is a bag of knowledge. definitely one should read. 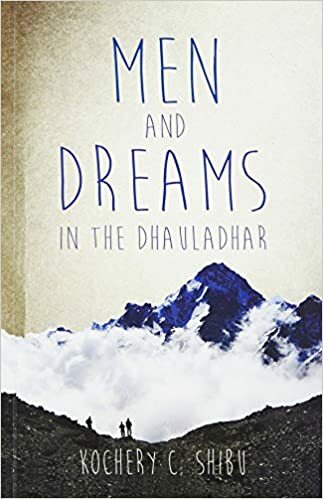 The cover of the book is picture of the place itself Dhauladhar which is situated near himalayas. Cover of the book looks simple and relatable as per the title. The title gives you the feel of knowing more about the people in that region. The book revolves around 3 people- Nandu, Rekha, Khusru which have been brought together to finish off the work of creating a hydelpower project. Had heard alot about this book, so I decided to give it a read as well. The book is a bit of a long read but with great description of each event that takes place along the story. The book will remind you of your hometown for sure. The language is easy to understand but consists of hinglish and malyali words throughout the book. The pace of the book is medium. If you are looking for a different kind of a story you should definitely read this book. You will get to learn a little more about the culture and art as well. There are a lot of characters in the book which makes you read the book a bit slow or you might get confusedd. Beautiful imagery has been created by the author. The book will also teach you more about situations and thoughts one goes through. 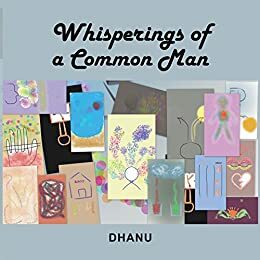 The author is a person who releases his emotions through poems, and he has written about various topics based on his experience. He has also drawn images related to the poems, which further illustrate what the author wants to to convey. He has also explained the meaning of the poems so that readers from all age groups can read and understand them. The poems are based on philosophy, nature, personal experiences, and observations of the events happening around him or the world. This book is suitable for all age groups. Hope you enjoy it. Title – the title tells us about the book is about the common thoughts one has be it about life. Love or any relation. The cover – it consists of all the pictures digital art the author has made. The book consists of 20 poems which has poems based on various thoughts one might face everyday. Each poem is also explained in his words too. The poems vary in length and follow a pattern of rhyme. Somewhere the poems lack depth and I could not connect to all the poems but it is a one time read where you will learn a little more about life. Readers who do not read poems can also read this as the language is easy to understand and the meaning of each poem is also given. clears acne & dark Pigmentation Neem Begin an antibacterial herb kills germs and bacteria from skin glow. Lousfa organic mud Mask was early to arrive as per scheduled. The packaging was neat, no leaking of the product was seen. Nicely extra taped to proof it from scattering. 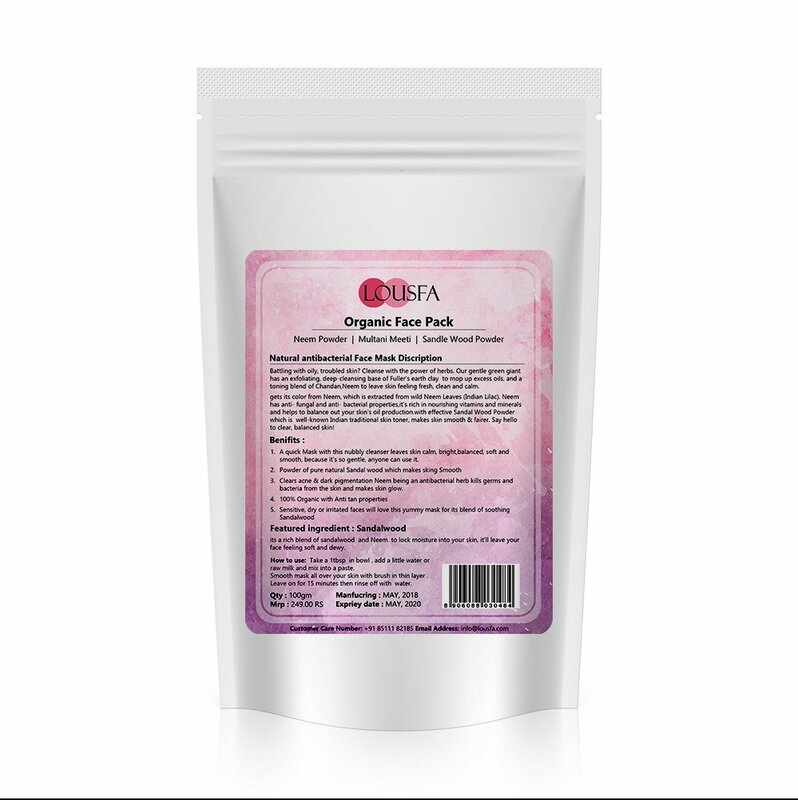 To save you from the chemicals and as most of us are going towards using chemical free organic products, this face mask is an amazing option. The powder is made up of sandalwood which is the key ingredient and also tops the fragrance of the pack. Neem is also an ingredient which gives us the texture and the colour of the pack. The powder is in green-yellowish in colour.. Directions are easy to use but might get tricky in the first few times to use so as to get the ratio right. You can clearly see the powder is natural and has no added chemicals at all. After my first use : skin had a glow, became more soft and clear. Though I felt my skin got a little dry but it could have been as it is in powder form. As per the price the quantity is really great. Skin becomes oil and dust free. It gives you a natural feel. No irritation on the skin was also felt. I liked using it and would definitely suggest you to go for it! As for the first time using a new brand product it is totally what it says and gives the effect.